One of the first decisions faced by every restaurant is what type of cuisine to offer. This does not only define the style of the restaurant, but it also identifies the target demographic. Furthermore, a thorough understanding of a menu and when it is not up to par is a deciding factor for the end result. 1. Utilize a good restaurant management platform. A good restaurant management platform will allow you to create your menu with precision, thus adapting it to the preferences of your customers and increasing your profits. A few restaurant owners take into account that the POS system provides information about the most commonly ordered items. Using this data, you can quickly and easily analyze each customer profile. This is quite valuable as it can help you to eliminate recipes and items which are not popular among your patrons. 2. What will be the results? 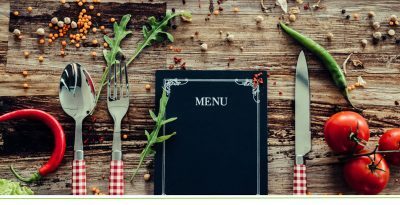 On one hand, your menu may become more concise, which will help customers when deciding what food or beverage to order. Most of us are certainly aware how confusing long menus can be, especially when half of the items are missing. This is undoubtedly aggravating for your clientele. On the other hand, you will no longer need to stock unnecessary items in your kitchen just because they are part of your menu. This will also decrease your waste and food cost percentages. Provided that you take advantage of the more in-depth capabilities of your system and you track what is in storage accurately, you are guaranteed to have exactly the needed amount of any item, in stock. In the case that your POS system allows pre-ordering, you will be able to effectively optimize your inventory and to accurately calculate your pricing. Modern POS systems enable customers to pre-order, for example a lunch meal, via a web-based platform or a specialized terminal on location. This is how you can pinpoint the most popular dishes and the respective demand for them. Optimizing your menu will increase the speed and efficiency of your staff. With just a few concise reports, generated by your POS system, you will be able to streamline all the restaurant processes.